If you’re an Apple fan then you’re probably feeling pretty excited right now. 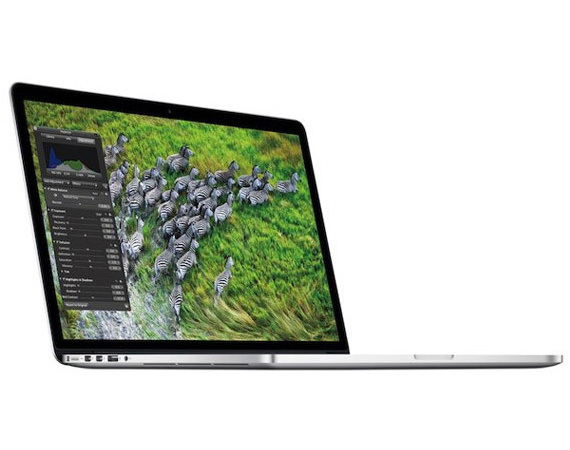 WWDC was held yesterday (you can watch it here) and Apple have finally launched the next generation of Macbook Pros. Thankfully they’ve met and exceeded most people’s expectations, with the new Macbook Pro showing off an incredibly slim casing, superb retina display, high performance and attention to little details such as the lowering the noise of the fan (yes seriously!). I don’t know of any company that would value the user experience to such detail. It’s very impressive and I’m already reaching for my purse. 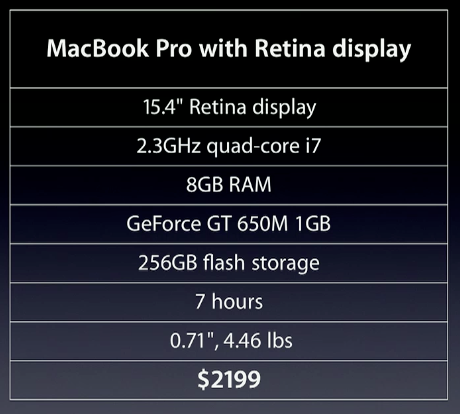 The question is whether to wait until July which is when Mountain Lion is released. There’s a free upgrade for anyone purchasing the Pro if you buy now, or like my other half plans to do, you could wait until next month which also gives Apple some time to solve any issues there may be with the new hardware design. I’m not as impressed with iOS 6. It may surprise you to know that I’ve never owned an Apple mobile, despite my love of all things Apple (well, except iTunes which needs a complete redesign). For most people, their mobile is an extension of themselves, of their own personality. I find the iPhone form factor to be quite masculine. It feels expensive and high quality but I just can’t connect with it. There is one thing that keeps pulling me to Android and that is Widgets. As far as user experience is concerned they enable a shorter, more efficient and effective interaction. I can simply turn on my backlight and I instantly know the weather, the latest news, read a note to myself (usefulness), and I can see a photo of my other half with the cats (emotional attachment, love). It all adds up to a nice experience. iOS may have better usability and apps than Android, but I personally believe they need to add more fun, emotion, usefulness and wow factors into their mobile desktop to have increased emotional appeal. Getting back to the new Macbook Pro, here are a few quotes from WWDC relating to User Experience that I wholeheartedly agree with. UPA changes to UXPA. What do you think? Interesting, that you prefer Android for its emotional appeal. Can you say what android-phones you had so far? Because the experience extremely depends on the manufacturer and the model. I use a HTC Desire and the internal memory of 512 MB is much too low to install more than a handful of apps, which is extremely deteriorating the experience. Hi Andreas, I have the Galaxy S and I’m currently deciding between upgrading to the S3 or waiting until the iPhone 5. I find widgets incredibly useful and there are only 2 things that are a temptation for me with the iPhone. One is there are more apps available and two, synching my Android with my Apple calendar and emails was a real pain. I need to do a bit of research, but if synching the S3 with Apple isn’t too much of a headache I’ll go with the S3. Have you seen the leaked images and video of iPhone 5? No I haven’t seen them.